1. "I know my credit from a free credit report" - Consumers often rely on "free credit report" offers. 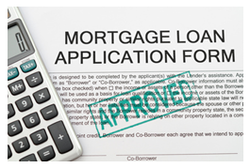 These scores are not the same ones used by lenders to approve a mortgage. In fact, often they are simply a marketing ploy for credit card offers. 2. "Paying off and closing my cards will improve my credit" - Lenders look for 4 open revolving lines of credit. Paying off and closing an account may damage credit. The magic number is keeping balances below 30% of the approved credit limit. 3. "Automatic bill payments will create credit" - Alternative methods of credit approval for programs like Citibank's Home Run loan include payments for car insurance, cell phones, utilities, etc. This helps buyers who don't have traditional credit. But if payments are deducted automatically from bank accounts that will not help. Lenders need to see on time regular payments. 4. "Pulling my credit report will damage my score" - As long as the credit report is for the same purpose within a 30 day time frame, it will not damage credit scores. Shopping for a mortgage with different lenders within the 30 day time frame will not ding credit scores. 5. "If I have credit problems, I should just wait and buy later" - It's important to start with a pre-approval, as many people actually do qualify! Working closely with a Realtor and Lender early in the process will help define a strategic action plan. Waiting without a credit repair plan will only delay home ownership indefinitely. The single best suggestion to prepare for home ownership is to go ahead with the mortgage pre-approval process. If action is needed to improve scores, professional credit repair services such as C.M.A.C. will set up a strategy for home buying success.